When it comes to local rivalries, they don't come much closer in proximity than Merseyside's Liverpool and Everton. Only around half a mile as the crow flies separates Liverpool's Anfield and Everton's Goodison Park to the north and south of Stanley Park. Despite being one of the oldest and most played derby matches in football, there isn't quite the same vitriol in the Merseyside Derby as there is with some of the other rivalries that we feature. This is partly to do with the fact that streets, workplaces and even families in Liverpool will be split between the Reds and the Blues. That said, this fixture will be one both sets of fans will eagerly anticipate and be desperate to win. Below are our thoughts on the best bets for the next contest and recent head to head record along with the history of these famous side's long running rivalry. Everton and Liverpool will rekindle their fierce rivalry in the 2019/20 Premier League season. Both games this term have been tight affairs, with just one goal netted in 180 minutes of football. In the fixture at Anfield back in December, Divock Origi’s late goal after a mistake from Jordan Pickford gave the Reds a 1-0 win. Meanwhile, the recent game at Goodison Park ended in a goalless draw. Everton’s long wait for a win over their rivals goes on. The Toffees have not beaten Liverpool since goals from Tim Cahill and Mikel Arteta gave them a 2-0 Premier League victory at Goodison way back in October 2010. How long will the Reds’ incredible undefeated run in this fixture continue for? Marco Silva’s Everton and Jurgen Klopp’s Liverpool played out an entertaining 0-0 draw at Goodison Park on 3rd March. Although there were no goals, there was plenty of drama on Merseyside, with both sides going close. It was an even contest, with the pair each having three shots on target. Liverpool created the better chances, with Mohamed Salah going close twice, but Pickford and the Everton defence held firm to stop the Reds from returning to the top of the Premier League table. In the end, the point was a far greater one for the Toffees, but a draw at Goodison is never a bad result for the Reds. Sadio Mane and Mo Salah have both had fine seasons for the Reds up until now. In fact, if it wasn’t for their goals and assists, Liverpool would be nowhere near the top. At the time of writing, Salah has netted 17 times and is one behind top scorer Sergio Aguero while Mane has helped himself to 14 Premier League goals. However, these two were far from their best at Goodison. Salah had Liverpool’s best chances, but the Egyptian was stopped by some fine goalkeeping and tremendous defending. As for the Mane, the Senegal international was hardly in the game and was taken off in the 84th minute. Liverpool are going to need Mane and Salah more than ever now as they push the Premier League title. Michael Keane, who has had his critics at Goodison since arriving in a big-money move from Burnley back in 2017, put in a Man of the Match performance against Liverpool. The 26-year-old was outstanding at the back, keeping Liverpool’s attackers in his pocket for the entire 90 minutes. When Liverpool did get past Keane, which wasn’t very often, Pickford was in inspired form between the posts. The England stopper made up for his blunder at Anfield with a couple of top-class saves. The Everton defence certainly came out on top in this one. The goalless draw at Goodison was a better result for Manchester City than it was for Everton or Liverpool. The Citizens have been chasing down the Reds for months, but the champions went above Klopp’s side with a hard-fought 1-0 win against Eddie Howe’s Bournemouth at the Vitality Stadium. After this draw Man City were available at just 4/11 to retain their Premier League title. Although Liverpool were right behind, you could get the Reds at the big odds of 11/5. It’s certainly advantage City, but there’s an awful lot of football to be played yet. On the whole, it’s been a disappointing first season for Silva at Goodison Park. However, a few days before drawing with Liverpool, the Toffees thumped Neil Warnock’s Cardiff City 3-0 in South Wales, which could be the turning point in their season. Everton’s main aim will be to finish in seventh place and be the best of the rest in the Premier League this season. At present, the Toffees find themselves in 10th, six points behind seventh placed Wolverhampton Wanderers. Everton have some big games coming up, with a trip to West Ham United on March 30th standing out. These two city rivals have gone head-to-head a staggering 233 times over the years. In recent times, Liverpool have certainly had the better of Everton. Since the Toffees’ 2-0 league win at Goodison Park back in 2010, the Reds have won nine and there have been 10 draws in the following 19 league and cup meetings. Everton’s last win at Anfield came all the back in 1999, when Kevin Campbell scored the only goal of the game in a 1-0 triumph for the Toffees. Meanwhile, the Reds have won five of the last eight Merseyside derbies. Since the pair drew 0-0 at Everton back in February 2015, there have been two goalless draw between the pair in the last nine meetings. Everton have scored just once in their last five games with Liverpool at Goodison Park. Backing Liverpool to win the Merseyside derby is certainly the way to go. Like we said, Everton have beaten the Reds just once in the Premier League since the turn of the century. Meanwhile, Liverpool’s Trent Alexander-Arnold was just a year old when the Toffees last won at Anfield. Everton tend to put up a stubborn battle, but they rarely have the capacity to get the victory these days. When it comes to derbies, the ones that are the fiercest are those that split a city asunder and few are able to match the Merseyside derby in terms of bitterness and acrimony. Liverpool have a number of rivals, yet only the game against Manchester United catches the attention of the club’s supporters in the same way that the one versus their neighbours does. This isn’t just a match between two football clubs for points to take home at the end of the ninety minutes, it’s also a battle that often pits families against each other, let alone friends. With non city-based rivalries it’s unlikely that you’ll see the supporters of the other team the next, yet when it comes to the Merseyside derby you’re going to have to go to school, college or work and know that a Red or a Blue will be there, ready to rub salt into the wounds if you’ve lost. The flip side, of course, is that a win comes with bragging rights in the extreme. The sad reality for supporters of the two clubs is that they haven’t had enough to brag about since the 1980s, meaning that the small victory of winning the battle of the two clubs means just that little bit more. Ask a Liverpool supporter and they’ll tell you that they love to beat Everton but that they’ve consistently got bigger fish to fry, seeing themselves at the top end of the table and forever imagining that their neighbours are more likely to struggle in a relegation battle. Speak to an Evertonian, meanwhile, and they’ll tell you that the Blues finished above Liverpool numerous times during the noughties and that Liverpool have only been more successful because the powers that be want them to do well. It’s a rivalry wrapped up not just in footballing jealousy but in conspiracy theories and so much more. The first place to start in any conversation about Liverpool and Everton is in the brief period of time in the 1980s when both clubs were enjoying huge success. Between the 1975-1976 season and the campaign in 1989-1990, the top-flight title only left Merseyside three times. That’s an incredible run of success for a single city, with even Alex Ferguson’s all-conquering Manchester United struggling to stop the title from leaving Manchester for London every now and again. Admittedly, it was Liverpool that took the trophy back to Anfield more than their neighbours were able to claim it for Goodison, winning it on ten occasions between 1975 and 1990, compared to Everton’s two title wins. Even so, when the Blues won it in 1985 and 1987 the Reds finished second, with the order switching around for the intervening year. During the same decade, Everton won the FA Cup once and their rivals picked it up twice, with the two teams actually going up against each other in the competition’s final in both 1986 and 1989. The latter iteration of the tournament holding extra poignance, coming as it did in the wake of the Hillsborough disaster. The greatest sporting disaster to occur on British soil, the Hillsborough disaster happened on the fifteenth of April 1989 when police incompetence led to ninety-six Liverpool supporters losing their lives. The tragedy united the city, with Evertonians joining their neighbours in solidarity against the authorities that attempted to cover up what happened and blame the supporters. For a time, the match between the two clubs boasted the moniker of ‘The Friendly Derby’. You would often see members of the same family sitting next to each other at Anfield or Goodison Park, sharing sweets and enjoying the banter that comes with football matches. Indeed, in one memorable FA Cup final between the two sides the two sets of supporters joined together in a chant of “Merseyside, Merseyside, Merseyside”, a sign of the two teams’ united stance against the rest of the country and a showing of pride at the achievement of the two teams; Liverpool had won the title with Everton coming second in a reverse of what happened the year before. The city of Liverpool has been struck by tragedy on numerous occasions, with Hillsborough being the most obvious example of it. The two teams have, for all of their intense rivalry, always been there to support each other. When the Hillsborough Independent Panel vindicated Liverpool supporters of any wrongdoing in the disaster in 2012, for example, two children wearing Liverpool and Everton kits with a nine and a six on their backs led out Everton and Newcastle United at Goodison Park before The Hollies’ song ‘He Ain’t Heavy, He’s My Brother’ was played on the tannoy. At the same time, the names of the ninety-six victims were read out. Likewise, when an eleven-year-old Everton supporter named Rhys Jones was murdered accidentally during a gun crime incident in 2007, Liverpool invited his parents to Anfield ahead of the club playing in the Champions League. The ‘Z-Cars’ theme, which Everton run out to before home matches, was played over the Anfield loud speaker whilst Rhys’ family stood on the pitch wearing Everton scarves. They were given a standing ovation by the home side at the end of the song before Liverpool’s usual pre-match song, ‘You’ll Never Walk Alone’, was played. Whilst some of the examples of this being a ‘friendly’ derby have occurred in recent times, it’s also true that there was a definite turn in the relationship between the two clubs in the wake of the Heysel Stadium tragedy in 1985. 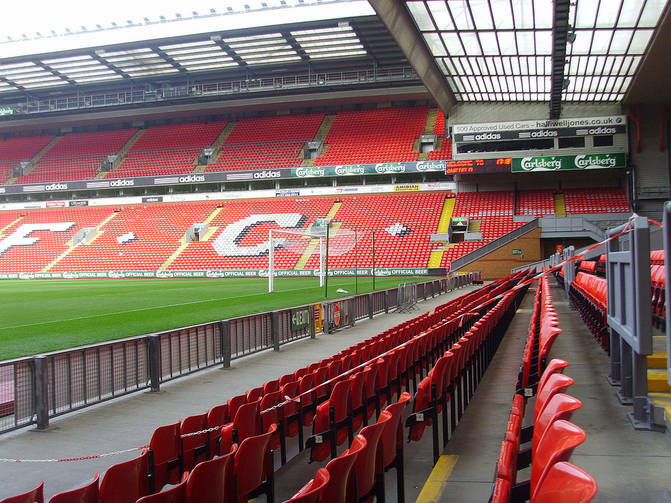 Liverpool played Juventus in the eponymous football ground, which was in a state of disrepair. UEFA had chosen to make one of the areas of the ground ‘neutral’, but tickets were mostly sold to the Italian supporters living in Belgium. Ahead of kick off, the two sets of fans were involved in some skirmishes before Liverpool supporters charged at their Italian opponents. They backed away, resulting in a wall collapsing and thirty-nine people died in the ensuing chaos. The result of the disaster was that English football clubs were banned from European competitions for ‘an indeterminate period of time’. In the end, English sides ended up being refused entry into Europe for five years, with Liverpool banned for six in total. As Everton won the league in 1985 the honour of playing in the European Cup should’ve been theirs, only for the ban on the back of Heysel stopping them from being able to play in football’s most prestigious club competition. Many Evertonians resented their city neighbours because of that, feeling that they would have won the trophy had they not been stopped from being able to play in it. Though it didn’t outright end the sense of the friendly derby, it certainly caused cracks to begin to show in the relationship between the two clubs. Goodison Park and Anfield are separated by around four hundred metres, with the city’s Stanley Park in between them both. Indeed, in the wake of the Hillsborough disaster the two grounds were linked by a chain of Everton and Liverpool scarves. The proximity of the two stadiums simultaneously ensure that enmity levels are high but also that physically violent clashes between the two sets of supporters don’t happen often. In actual fact, many of the streets around the grounds are populated by fans of both clubs who take pride in the area that they live in. Many same-city rivals have home grounds that are near each other, however, so what makes Merseyside so special? The answer comes in the form of the origins of both teams, with Everton actually calling Anfield their home when the club first existed. Founded in 1878, the Blues moved into Anfield six years later. The ground was owned by the club’s chairman, John Houlding, who was a Conservative Party member and a brewer. Several of the other people on the board were part of the Liberal Party and had an association with the National Temperance Federation. That, combined with disputes over money, meant that Houlding regularly found himself at odds with the rest of the Everton board. The relationship was regularly strained and by 1892 it was decided that it was untenable. 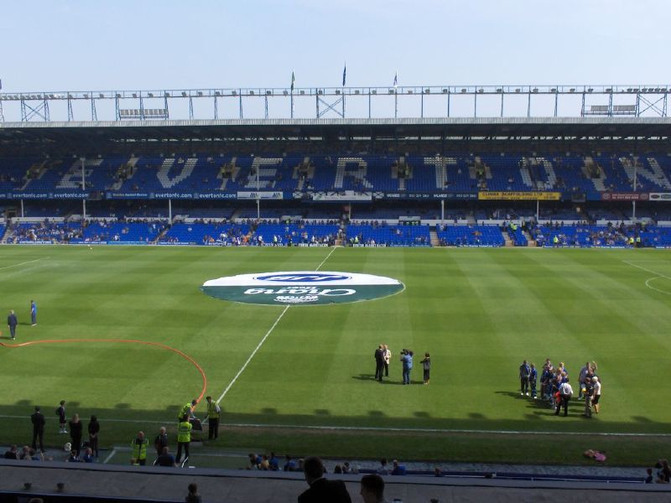 As a result, the Everton directors decided to leave Anfield for a different stadium, purchasing an area on the other side of nearby Stanley Park where they built a ground that would become Goodison Park. In response, Houlding chose to form his own football club that would play its matches at Anfield and named it after the city in which the club was based - Liverpool. Though it’s far from a cause of friction nowadays, there’s little doubt that supporters of the two teams in the early days of football would have used the history of where they two sides came from as a stick with which to beat each other. The post-Heysel period isn’t the only time that Evertonians have indulged in conspiracy theories. In the 2004-2005 campaign, the Blues finished above their neighbours in the Premier League, snatching fourth place. That meant that they would be able to take part in the Champions League provided they made it through the qualifying stage of the tournament. The problem was that Liverpool then went on to win the competition in 2005, beating AC Milan on penalties in one of the most exciting cup finals of the tournament’s history. That meant that five English teams would be in the knockout stage if Everton made it through their qualifying match. Their paranoia was not helped when the match referee, Pierluigi Collina, disallowed a seemingly perfectly decent goal from Everton’s Duncan Ferguson that would have seen the tie go to extra-time. Not only that, but Collina has been retired prior to the match, was persuaded to come out of retirement in order to take charge of the game and then promptly retired again straight after the second-leg was over. Obviously supporters from the Blue half of Merseyside felt that none of that would’ve happened had Liverpool not won the Champions League in the same season that they finished below Everton in the league, meaning that once again the Blues had been thwarted in their European exploits by the team that they share a city with. Another reason for the hatred of Evertonians towards Liverpool comes in the form of the success of the Reds. Whilst we mentioned earlier that both sides enjoyed some success in the 1980s, often fighting for league titles as well as FA and League Cups, there’s no question that the Red side of the city enjoyed more success than the Blue. When Everton won the First Division in 1987, for example, it was the second time they’d won it that decade and the ninth time in the club’s history. When the Reds won it in 1988, meanwhile, it was their seventeenth title in total and their sixth in the ’80s alone. Though neither side had won the Premier League prior to the start of the 2018-2019 season, both enjoyed some small amounts of success in the modern era. Yet even then the success of Everton was far out-weighed by their neighbours. They beat Manchester United in the 1995 FA Cup final, something that Liverpool failed to do the following year, but the single trophy was all that they had to show for themselves between 1990 and 2018. During the same period, however, the Reds won three FA Cups, four League Cups, the Champions League and the UEFA Cup. They also made two more Champions League finals as well as finished second in the Premier League four times. It led to Liverpool fans suggesting that their neighbours ‘lived in the shadow’, never quite managing to enjoy the same level of success. It was a feeling that was furthered by the fact that the Blues failed to win a single derby match at Anfield between 1999 and 2017. When the two sides faced each other during that period the Liverpool supporters were wont to sing ‘You haven’t won at Anfield since 1999’ at their opponents as a means of riling them. There is often hatred between two sets of supporters of rival teams, but the enmity between Evertonians and their neighbours sometimes reaches extreme levels. Many Blues refuse to have anything red in their house, for example, buying blue Santa costumes at Christmas and never wearing red clothes during the rest of the year. Nothing says ‘classic’ like a 4-4 draw, so where else to start but with this FA Cup fifth round fixture from the early 1990s? Ironically, it wasn’t really expected to be a particularly exciting match, given that it was a replay after a boring 0-0 draw the week before. Liverpool took the lead on three occasions, twice courtesy of Peter Beardsley goals and once through Ian Rush, only for the home team to peg them back each time. The match went to extra-time, with John Barnes giving the Reds the lead before Tony Cottee got his second of the day to level things. The match came before the days of penalty shoot-outs and so, with no further goals scored before extra-time came to an end, it needed a third replay to find a winner. Before that could take place, however, Kenny Dalglish told the Liverpool board that he could no longer go on as the club’s manager. Many believed that the strain of the Hillsborough disaster, which Dalglish was the manager of the Reds during and attended many of the funerals in its aftermath, took its toll on him. His resignation sent shockwaves through Merseyside and the 4-4 draw turned out to be his last in charge. Everton won the replay, but for Liverpool the future was suddenly far more uncertain. In terms of matches that Liverpool won, we could have written about both the 1986 and 1989 FA Cup finals as well as the 1988 League Cup final, yet none of them have a song sung about them. Travel to Anfield when the Kop is in the right mood, however, and you’ll hear them sing ‘Rush scored one, Rush scored two, Rush scored three and Rush scored four’, which is a direct reference to when the Welsh striker utterly eviscerated the Blues in their own ground at the start of the 1980s. No player has scored more goals for Liverpool than Ian Rush, with few as memorable as the ones he scored that day. Before the match the club’s manager, Bob Paisley, had taken him to one side to tell him that no one had scored a hat-trick in a Merseyside derby for many years. Suffice to say that the Welshman took the hint, beating Everton’s offside trap again and again to keep putting the ball in the back of the net. He was helped in his endeavours by the fact that Everton’s Glenn Keeley saw red just twenty minutes into the game after he brought down Kenny Dalglish. Just as there were many times that Ian Rush scored against Everton but none were sang about as much as his performance in 1982, so too have the Blues beaten the Reds on countless occasions but none have been talked about as much as the time they did so at Anfield in 1999. Admittedly, it’s not for the best of reasons, but try taking away a win in the home of the enemy from Evertonians. The Blues were three points clear of their neighbours ahead of kick-off, sitting in seventh compared to Liverpool’s twelfth. Gerard Houllier had only taken over from Roy Evans the season before and was struggling to get his side playing as consistently as his opposite number Walter Smith. It was just four minutes into the game when Nick Barmby, who would later move across Stanley Park to Anfield, squared the ball to Francis Jeffers. The youngster flicked the ball over to Kevin Campbell who was being played onside by a future Liverpool great named Jamie Carragher. Campbell smashed the ball past Sander Westerveld in goal for the Reds and that was enough to win them all three points. They spent the rest of the game sitting back and playing on the counter, ultimately getting enough chances to mean that Liverpool could consider themselves fortunate to only lose by the single goal. It was the last time Everton would win at Anfield for nearly two decades, but for the Blues it was a huge win in what would go on to be an otherwise disappointing season.